The New York Times, "Best Poetry 2017"
Barnes & Noble, "25 Must-Reads for National Poetry Month"
Vol. 1 Brooklyn, "December 2017 Book Preview"
The Millions, "Must-Read Poetry: December 2017"
Memorious Mag, "Contributor Spotlight Bonzana"
The poems of Witch Wife are spells, obsessive incantations to exorcise or celebrate memory, to mourn the beloved dead, to conjure children or keep them at bay, to faithfully inhabit one’s given body. In sestinas, villanelles, hallucinogenic prose poems and free verse, Kiki Petrosino summons history’s ghosts—the ancestors that reside in her blood and craft—and sings them to life. 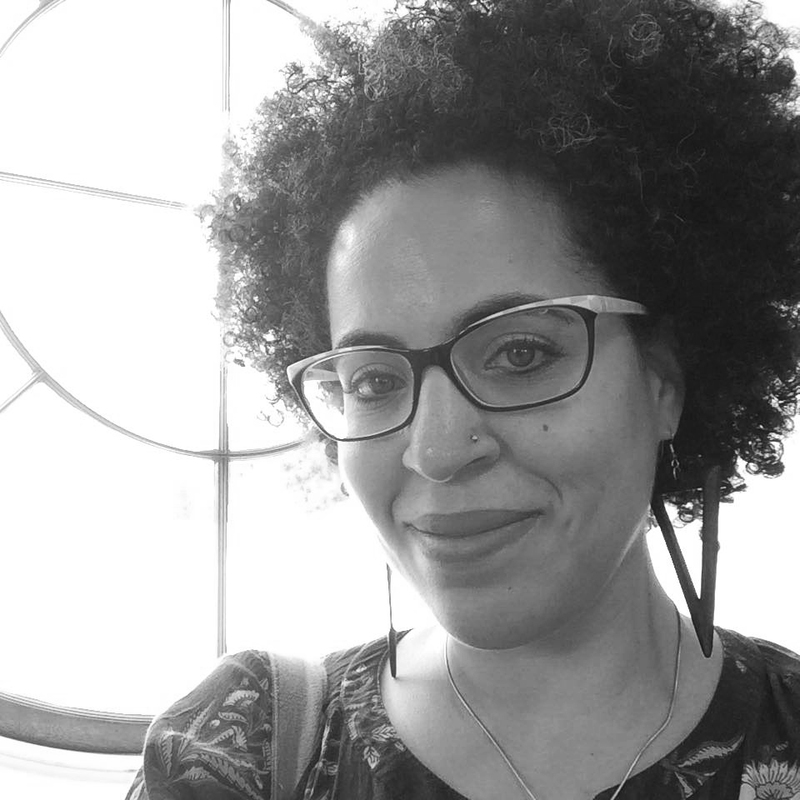 Kiki Petrosino is the author of two previous books of poetry: Hymn for the Black Terrific (2013) and Fort Red Border (2009). She holds graduate degrees from the University of Chicago and the University of Iowa Writer's Workshop. Her poems and essays have appeared in Best American Poetry, The New York Times, FENCE, Gulf Coast, Jubilat, Tin House and online at Ploughshares. She is founder and co-editor of Transom, an independent online poetry journal. She is an Associate Professor of English at the University of Louisville, where she directs the Creative Writing Program. Her awards include a residency at the Hermitage Artist Retreat and research fellowships from the University of Louisville's Commonwealth Center for the Humanities and Society and the Virginia Foundation for the Humanities. — The Millions, "Must-Read Poetry: December 2017"
Kirkus Reviews, "100 Best Fiction Books of 2017"
O, The Oprah Magazine, "Ten Titles to Pick Up Now"
W Magazine, "10 Books to Read Right Now"
Washington Post, "9 Short-Story Collections We Can't Wait to Read This Fall"
Chicago Review of Books, "15 Must-Read Books This October"
Poets & Writers, "Page One: Where New and Noteworthy Books Begin"
Buzzfeed, "28 Exciting New Books You Need To Read This Fall"
The Masters Review, "17 Books We're Looking Forward To This Year"
Selected by Ben Marcus as winner of the Mary McCarthy Prize in Short Fiction, Catapult follows Emily Fridlund's acclaimed debut novel History of Wolves. Sometimes calculating, at other times bewildered, Catapult's characters orbit around each other, enacting a deeply human tragicomedy of wit, misunderstanding, and loss. With dexterous, atmospheric, and darkly comic prose, Fridlund conjures worlds where longing is open-ended, intentions misfire, and the line between comfort and cruelty is often difficult to discern. This is a gripping collection, unsettling as much in its familiarity as in its near-gothic strangeness. Emily Fridlund grew up in Minnesota and currently resides in the Finger Lakes region of New York. Her fiction has appeared in a variety of journals, including Boston Review, Zyzzyva, Five Chapters, New Orleans Review, and elsewhere. Fridlund's first novel, History of Wolves (Atlantic Monthly Press), shortlisted for the Man Booker Prize, was a Barnes & Noble Discover Great New Writers Selection and a #1 Indie Next pick. A book-length essay on the mime Marcel Marceau, informed by interviews with his students, closely observed performances, and archival research. Remarkably innovative in structure and style, the book employs lists, prose poems, syllabi, a travel itinerary, a catalog of his possessions, and more. A Twenty Minute Silence Followed by Applause is a celebration of Marceau's transcendent creation. Shawn Wen is a writer, radio producer, and multimedia artist. Her writing has appeared in The New Inquiry, Seneca Review, Iowa Review, White Review, and the anthology City by City: Dispatches from the American Metropolis (Faber and Faber, 2015). Her radio work has broadcast on This American Life, Freakonomics Radio, and Marketplace, and she is currently a producer at Youth Radio. Her video work has screened at the Museum of Modern Art, the Camden International Film Festival, and the Carpenter Center at Harvard University. She holds a BA from Brown University and is the recipient of numerous fellowships, including the Ford Foundation Professional Journalism Training Fellowship and the Royce Fellowship. Wen was born in Beijing, raised in the suburbs of Atlanta, GA, and currently resides in San Francisco. — O, The Oprah Magazine, "10 Titles to Pick Up Now"
— The Men's Journal, "The Seven Best Books of July"
2017 Story Prize Spotlight Award goes to Randa Jarrar! We are thrilled to announce that Randa Jarrar's short story collection Him, Me, Muhammad Ali has won the 2017 Story Prize Spotlight Award! The Story Prize Spotlight award goes to one short story collection of exceptional merit each year. Awards can be promising works by first-time authors, collections in alternative formats, or works that demonstrate an unusual perspective on the writer's craft. Jarrar joins Sarabande writer Kyle Minor, author of Praying Drunk, on this prestigious list of upcoming and noteworthy story collections. Sarabande warmly congratulates Randa Jarrar on this latest achievement and look forward to all that is to come for her in 2017!